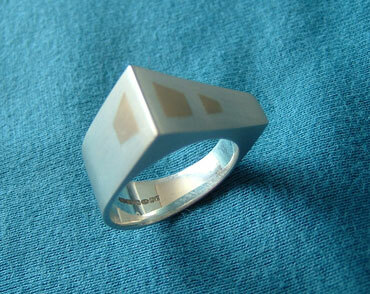 This ring is fabricated from sheet. It is hollow with gold inlays. The bold design is suitable for a man or a woman. Size T.